Barchart Trader utilizes CQG’s market leading gateway for electronic futures trading. Futures trading integration is supported by the brokers listed below. To configure Barchart Trader with your broker you must request a CQG login for Barchart Trader from your broker. Once you receive this login, go to «Settings» then «Trading Providers» within Barchart Trader. 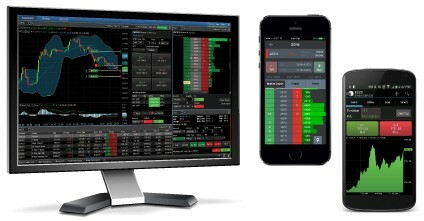 In this section enter the username and password your broker provided and select «Live Trading» to enable your Barchart Trader account with live futures trading. Barchart Trader is available for both your desktop and mobile phone giving you the flexibility to access the markets in the office or on-the-go. Our mobile app is available for both iPhone and Android devices and delivers real-time streaming market data just like the desktop application. You can also place live trades with the mobile app. With Barchart’s direct connectivity to dozens of exchanges you have access to low latency real-time streaming market data across stocks, futures/commodities, indices, funds, and forex. Exchanges include CME, CBOT, NYMEX, COMEX, ICE, Euronext LIFFE, Eurex, BM&F Bovespa, NYSE, NASDAQ, BATS and more. 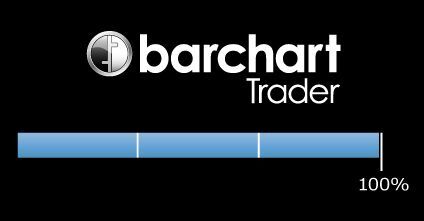 Barchart Trader offers optional integrated electronic trading to over 50 different futures brokers for no additional cost. You may also qualify for the CME Group market data fee waiver. 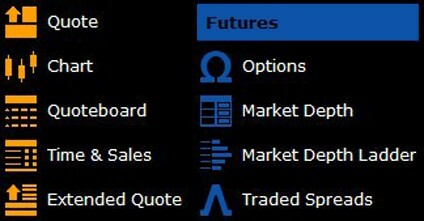 Barchart Trader’s trading features include trading direct from charts, DOM trading and a variety of order types and tools. Barchart Trader provides an interactive charting tool that offers advanced features yet is simple to use. You can easily switch between different chart types, change time periods and add from over 50 technical studies and a dozen drawing tools. 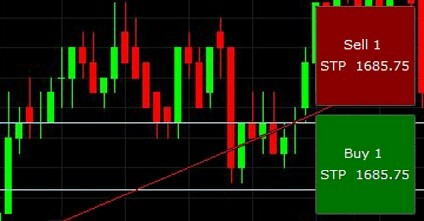 You can also turn on Chart Trader which allows you to trade directly from a chart, plotting your positions and stops. 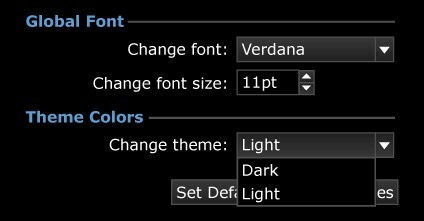 With Barchart Trader you can easily switch between themes (application color schemes) like “light” and “dark” through a one command setting change. This simple feature gives you the ability to quickly choose the theme that works best for you. 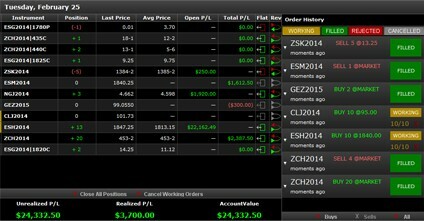 The Portfolio Manager (Trading View) is a streamlined account, position and order history management tool. The Portfolio Manager provides details on account balances and margin requirements, as well as current open positions with realized and unrealized profit and loss. In addition, you will find hot keys for reversing or closing out positions. 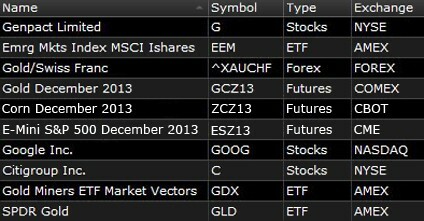 You can also export your trading activity from the Portfolio Manager. The DOM trader gives you the ability to trade directly from the order book and analyze limit orders as the market moves. 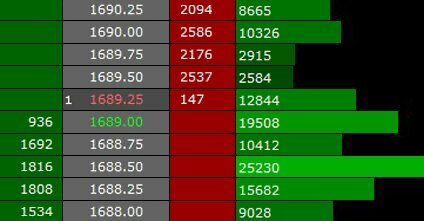 You can place market orders, limit orders and stops with the click of a mouse while monitoring for volume traded at various price levels. With our Keyboard Order Entry feature you can quickly place orders using your keyboard. You can choose to enter an order using an auto-complete order expression or repeat a previous order. Designed for quick entry and high-volume trading, Keyboard Order Entry will give you speed and efficiency with entering orders. With the click of a button you can switch between standard charts and Chart Trader which gives you the ability to directly trade futures from your charts. 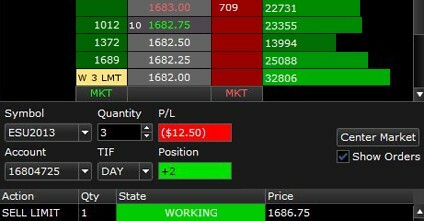 You can monitor positions and P&L as the market updates in real-time, as well as place market, limit and stop orders. 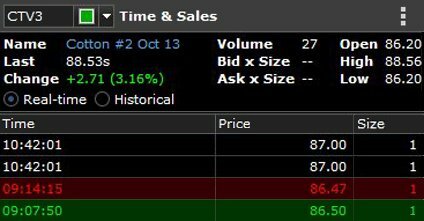 Barchart Trader installs in seconds and once you login you are prompted with a few questions to customize your initial experience. The custom start-up experience gets you up and running on Barchart Trader quickly—saving you valuable time. Whether you want to design a unique workspace, select specific fields for your quoteboards or changes fonts, Barchart Trader provides a variety of customization features giving you a personalized experience. Barchart Trader gets your up and running quickly as Trader provides numerous pre-configured workspace templates to choose from. Once you select a workspace template it instantly loads and you can modify it or use it as is. 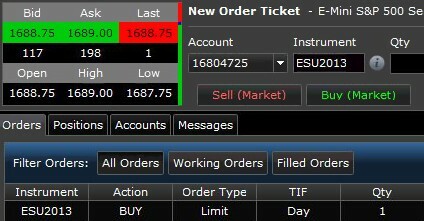 You can also create your own templates and re-open them or even share them with other Trader users. 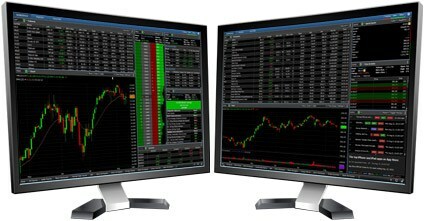 You will find Barchart Trader’s support for multiple monitors to be very useful. Each additional display can be launched and moved to your additional screens with ease, and workspaces can be moved between different screens. 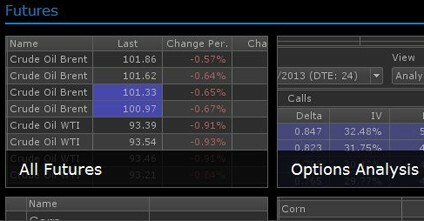 For futures traders, Barchart Trader provides the ability to quickly load pre-configured quoteboards for markets like grains, energy, metals and indices, saving you time in entering symbols. You can then quickly modify the fields you want displayed and rearrange your columns by clicking and dragging your mouse. 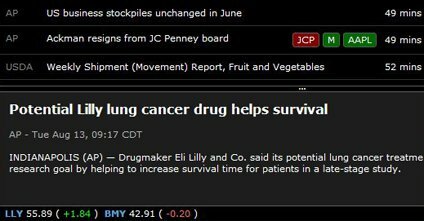 From Associated Press and Dow Jones to company specific press releases and grain market commentary, Barchart Trader provides new sources for all types of market participants. You can also search news by category, symbol and keyword. 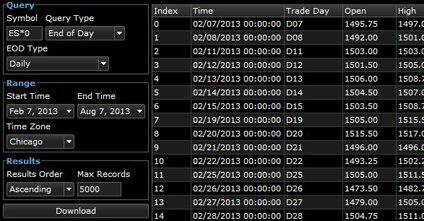 Both real-time and historical time and sales data is available through Barchart Trader. Monitor trading activity as it occurs or review historical transactions as needed. 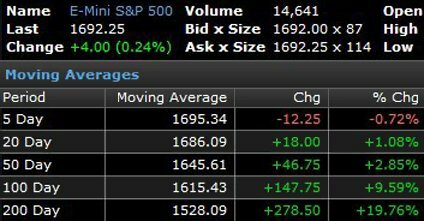 Tick, minute and end-of-day data are at your fingertips with Barchart Trader. In seconds you can download days or years of historical data and export it to Excel or another application and analyze the data further. No data is filtered and queries are unlimited. Through the DOM Trader you can view the day’s total volume traded at each price level. 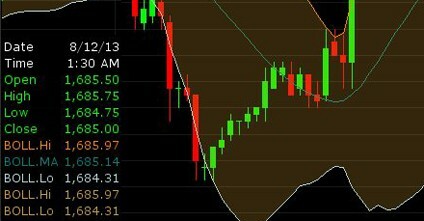 The Volume at Price feature may help identify trends and volume patterns as you look to place orders. 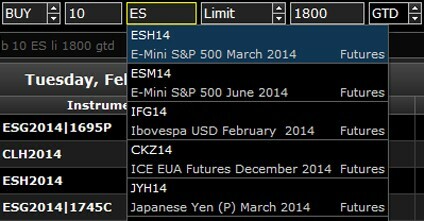 Both Exchange Traded Spreads and a theoretical Spread Matrix are provided in Barchart Trader. With Exchange Traded Spreads you filter by type such as Calendar or Butterflies, and with the Spread Matrix you can quickly scan for developing spread patterns. 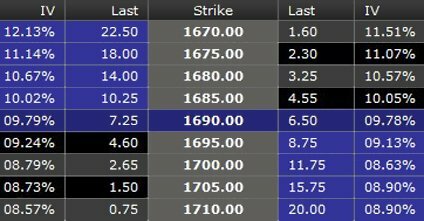 For futures traders, Barchart Trader provides both stacked and side-by-side views of option markets, including filters to monitor all strikes or limit to those at and near the money. 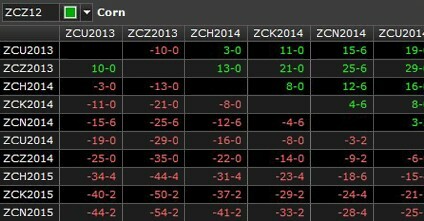 You can also display real-time greek values including delta, gamma, theta and vega. 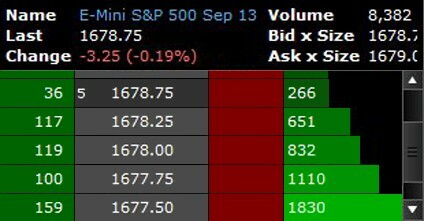 The Market Depth display provides a side-by-side view of buy and sell orders or Level 2 data for futures markets. 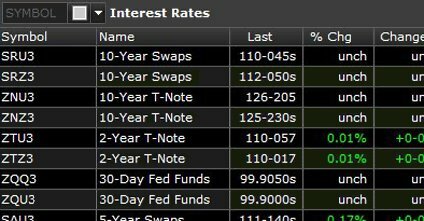 This feature gives insight into the depth of liquidity in a given market. The Technicals tool provides an overview of key technical indicators like moving averages for prices and volumes, as well as stochastics, relative strength and volatility across multiple time periods. 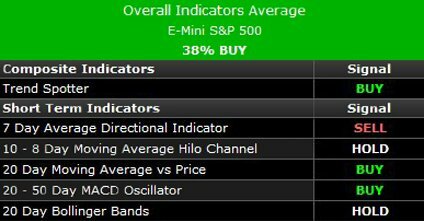 Barchart Trader provides technical buy, sell and hold opinions for all instruments trading based off short, medium and long-term indicators like moving average cross overs and oscillators, as well as a composite indicator across all time periods. 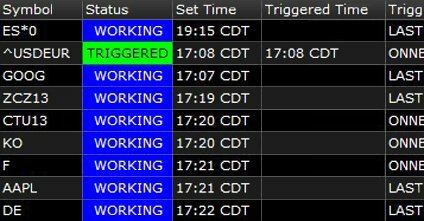 Alerts provides the ability to set audio or visual triggers based off price conditions. When a condition is triggered an audio or visual alert occurs keeping you informed of the latest price developments without having to continually monitor your screen. View the latest income statement, ratios and other key fundamental data for equities. 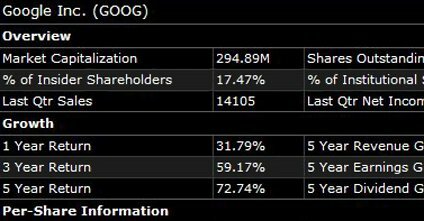 Fundamentals includes market capitalization, growth rates, earnings per share, P/E ratio, beta and other key values. 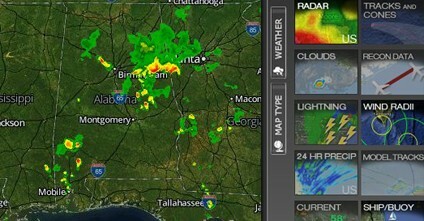 Access interactive weather maps that provide zoom in/out capability as well as current conditions and forecasts based on zip codes. Our extended weather data provides detailed information such as soil moisture, precipitation and growing degree days.